WE AGREED TO HAVE OUR KITCHEN INSTALLED BY SPACE,AFTER SOME THOUGHT I WENT ON TO THENET SHOCK HORROR I NEARLY CANCELLED BECAUSE OF ALL THE NEGATIVE FEEDBACK BUT DECIDED TO CARRY ON. THIS WAS ONE OF THE BEST DECISIONS I HAVE EVER MADE. FROM START TO FINISH APART FOR ONE SMALL PROBLEM IT WENT AND LOOKS LIKE A DREAM KITCHEN. TO SAM DAVE, ADRIAN, JOHN AND OUR EXPERT KITCHEN FITTER DARREN ALL AT THE SPARROCK HOUSEHOLD ARE EXTREMLY DELIGHTED WITH OVERALL QUALITY. I worked for space kitchens after finishing university. I was unable to find a job and a friend suggested it was easy money and quite good fun. I spent my time going to visit customers in their own home to try and sell them a kitchen. Most nights finished the same way, me apologising to people as a result of how my manager had spoke to them. I was also consistently underpaid and on at least 2 occasions cash deposits were stolen by the manager. SPACE Kitchens are a nightmare, if your number gets onto their *National Database* then I pity you because they will call you persistently and relentlessly, no matter how many times you request to be removed from their DB, it will not be actioned. We were initially cold-called eause they *allegedly* have a special offer available for show houses in our Post Code "we can do this because we don't have show rooms, so use our installations" - Blah blah blah! Just had kitchen fitted by Space Kitchens - the work took 4 long days. The fitter (Vince) was a human dynamo and actually ran up and down the stairs -we have a town house and the kitchen is on the first floor. We are delighted with the result and would recommend them. Do not go with this company, they are diabolical. 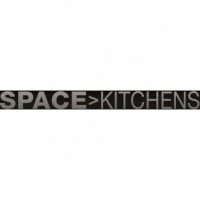 I know someone who has recently started working with Space under the impression they were going to be a kitchen designer, turns out it's more of a sales job (this wasn't specified) but because they can't find anything else in the current economic climate, he's stuck with this 'job' for a while, whilst they try to find something more ethical.